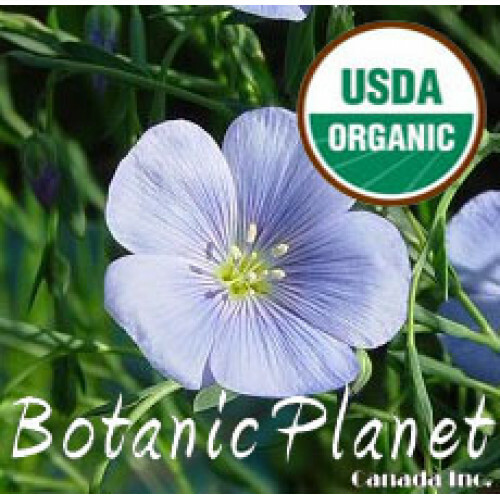 Organic Flax Seed Oil is an emollient, high in essential fatty acids, vitamin E , vitamin B and minerals. It contains the alpha-linoleic acids (ALAs) which may contribute to younger looking skin. Organic Flax Seed Oil is reputed to be an excellent treatment eczema and psoriasis. It is often added to other carrier oils and creams and lotions in order to add skin strengthening properties. It is also an anti-inflammatory and is good for preventing scarring and stretch marks. Organic Flax Seed Oil can also be used to nourish the hair.